Murray State’s Ja Morant has entered the conversation for best NBA prospect not named Zion Williamson (NBADraft.Net has him going No. 2 in their latest mock draft, for example). The 6’3″ point guard is putting together an amazing season, averaging 23.1 points and 10.7 assists per game. He’s averaging 2.5 more assists per game than any player in the country, and that’s while he’s 14th in the nation in scoring. He’s even averaging 6.3 rebounds per game. And he’s not just putting up numbers; he’s making ridiculous, highlight-reel plays regularly. That’s particularly the case in the dunk department. 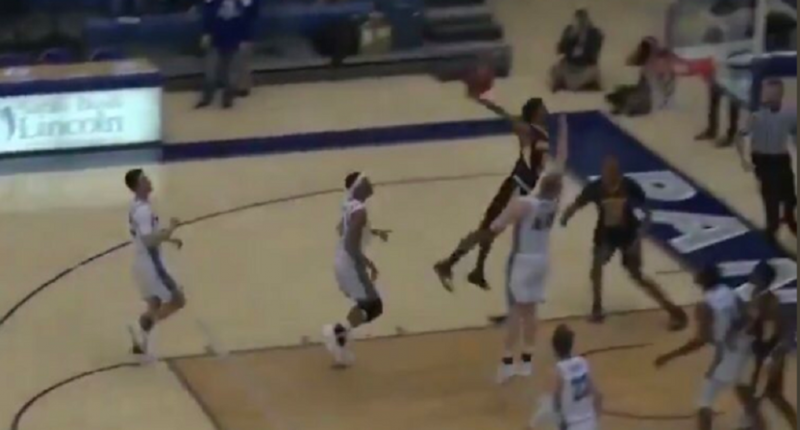 Morant is a vicious dunker that loves to put defenders on posters. Full steam ahead and taking off just in front of the free-throw line before throwing the hammer down for another absurd dunk. Ja Morant is quite fun, and it will certainly be enjoyable to watch him in the NBA next season.